League of Angels – Fire Raiders Update 3.7 Released New Hero, Angel and More! League of Angels - Fire Raiders’ new update was just been released today that brings a new progression system, new Angel, new Hero, and more improvements to the game! The update is available from Google Play, the App Store and Amazon. Download now and enjoy all new content on for the best free to play strategy RPG on mobile! Update 3.7 adds a new way to upgrade and strengthen your Heroes in Fire Raiders. When a Hero has reached 5 stars, the Star Upgrade button will lead to the new Spirit Upgrade feature. 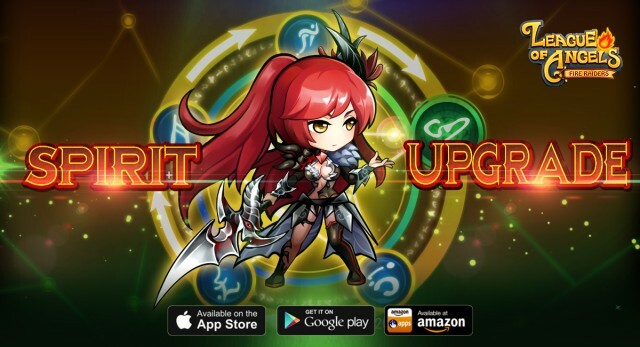 Spirit Upgrade will require normal Hero Soulstones and new Spirit Stones, which can be obtained from Mystic Divine, Arena points rewards, Arena Shop, and Point Tournament Shop. The upgrade method is like a rotating dial, each upgrade will add the specified stat to your total bonus and move to the next. Spirit quality will increase after a specific number of upgrades: White, Green, Blue, Purple, Orange. Astrea is the next Angel to arrive in Elysium. Astrea is as graceful and brilliant as the starry sky, and her astral abilities is a powerful addition to the League. Her combat skills, in addition to dealing damage, are focused on reducing the Rage and defense of enemies. As an Angel that is able to deal damage and weaken enemies greatly, Astrea is sure to become a powerful Angel for your formations! 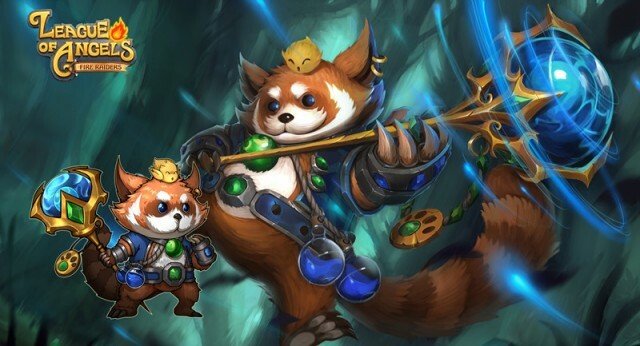 From the hidden forests of Elysium comes Mystic Warden, a member of the ancient Red Panda tribe and a master alchemist. Like most dwellers of the forest, Mystic Warden is naturally timid and cautious, but inside lies an unquenchable curiosity that pushes him to explore the world. As a powerful alchemist, Mystic Warden can create powerful explosions and use magical elixirs to buff his team. 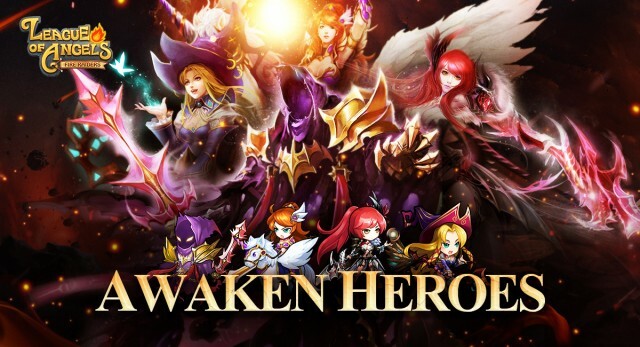 Another wave of Awakened Heroes is here! 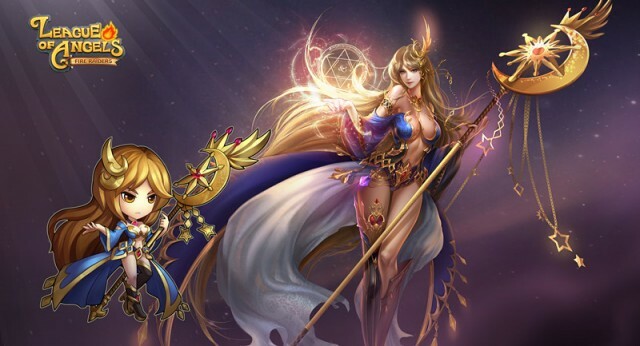 This time Blue Witch, Valkyrie, Shadowraith and Alyssia have gained the power to awaken. Awakened Heroes get an additional combat skill, bonus stats, and most importantly, a new appearance! Download League of Angels – Fire Raiders now from Google Play, the App Store and Amazon. Players can log in and check out all the new content! Visit the official Facebook fanpage, website, and forums for the latest news and events. Play League of Angels - Fire Raiders now and experience one of the best free to play strategy RPG’s on mobile! GTArcade is a leading developer and publisher of free online games. With its guiding principle of “sharing simple joy,” GTArcade has created award-winning MMORPG and strategy games for browser and mobile platforms around the world. Visit www.GTArcade.com today and play all our games for free!